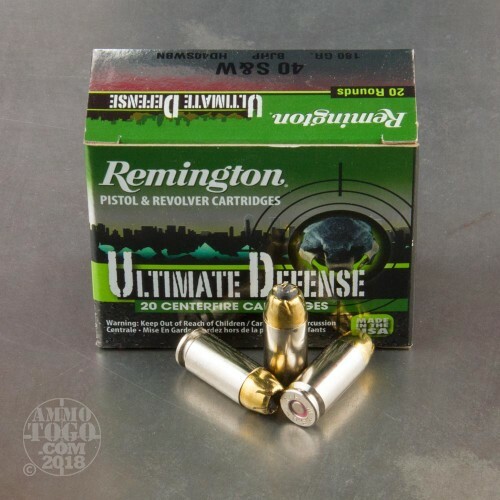 Remington Arms’ Ultimate Defense line of ammunition is specially tailored to meet the specific needs posed by personal protection. This 40 S&W cartridge sports a heavy 180 grain projectile that will impact human-sized targets with tremendous force at a muzzle velocity of 1,150, providing remarkable stopping power by that merit alone. 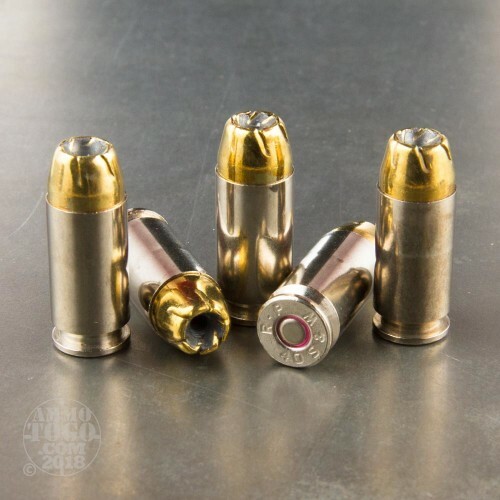 The jacketed hollow point bullet will penetrate a target smoothly, resist separation forces to retain its weight after entering, and then mushroom for even more devastation. 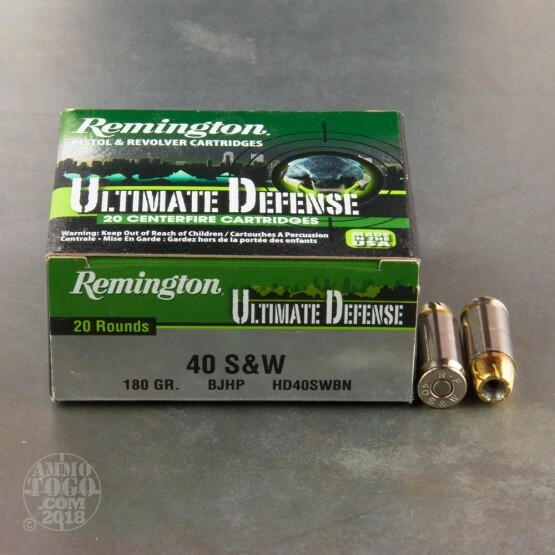 The result is the ultimate cartridge for self-defense, just as its brand name promises. This cartridge’s brass casing is nickel plated, so it will feed more easily into your cylinder and resist corrosion as well. 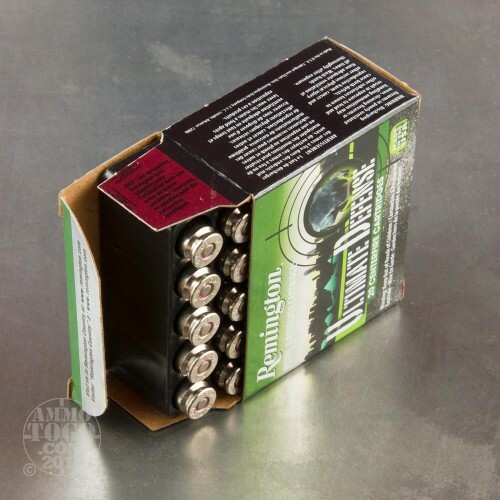 Its Boxer primer makes it prime for reloading. Proponents of the 40 S&W caliber appreciate its similar performance to that of the 9mm, but with a marked energy advantage. In that line, the 40 S&W excels over the 10mm for its lesser recoil for more manageable handling.